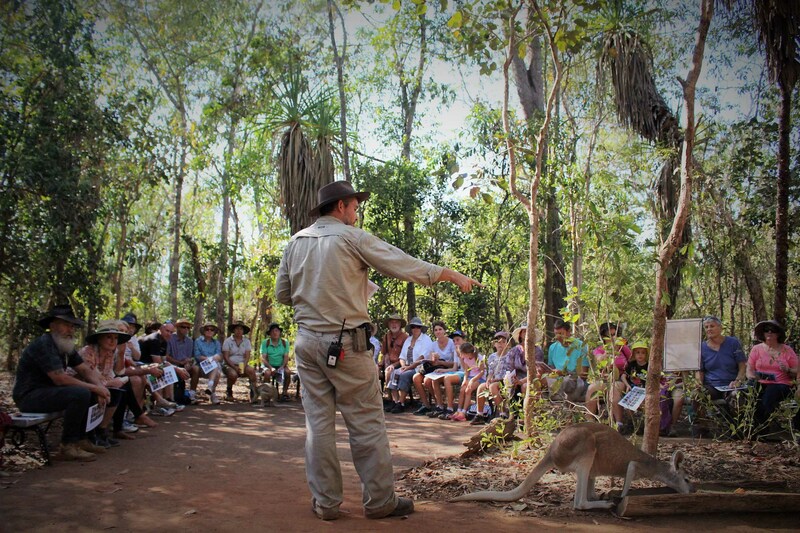 We are very excited to announce that this year our “Land for Wildlife Top End” program welcomed an 888 Hectare property just outside of Katherine into the program. The property is on Gorge Road and is managed by Mick Jerram for the owners who recently acquired the property. 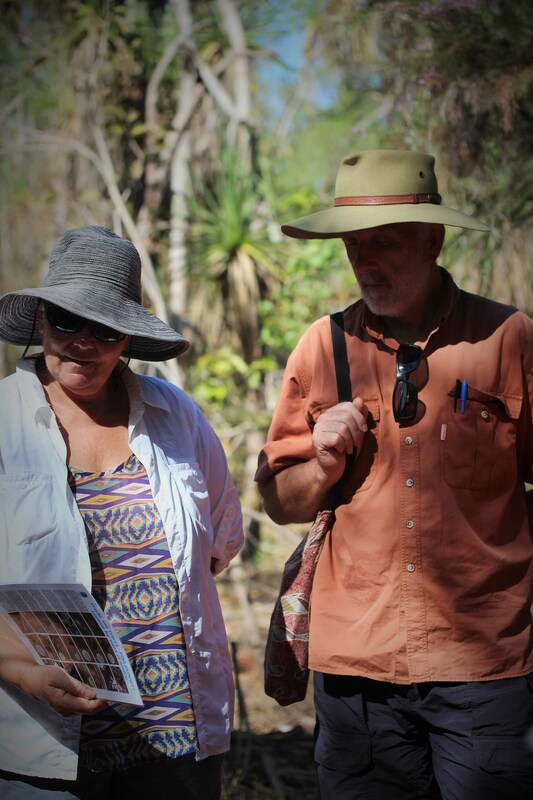 Mick is a very knowledgeable tour guide in the area who operates “Gecko Canoeing and Tours”. 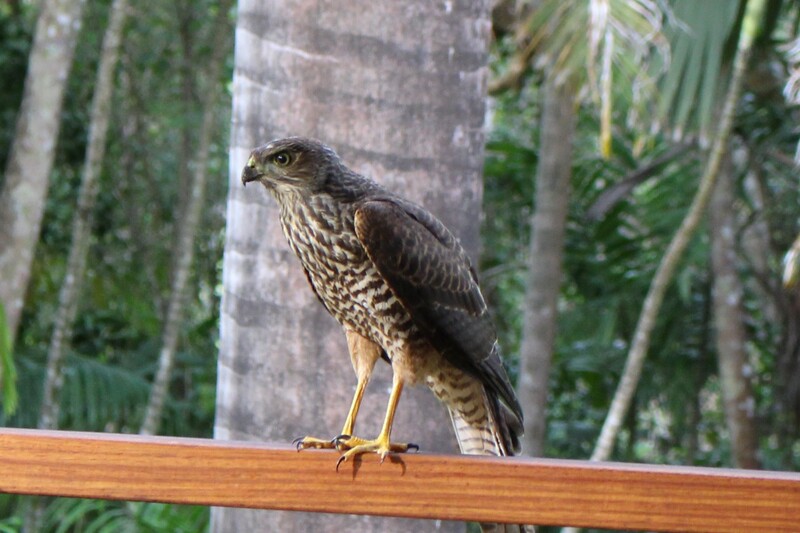 The beautiful property is now our largest Land for Wildlife property in private ownership and includes the Maude Creek. 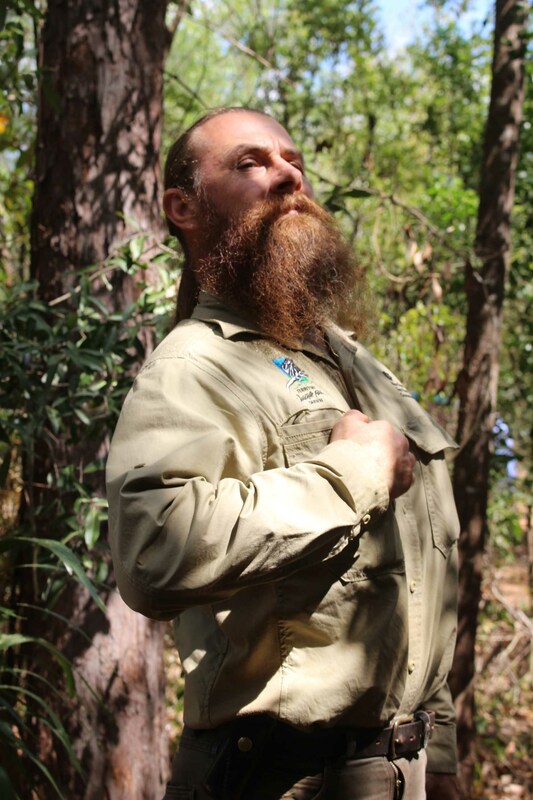 The landholders have appointed Mick to be their land manager and would like to manage the land as a wildlife refuge and possibly run an eco-tourism enterprise that would support the upkeep. 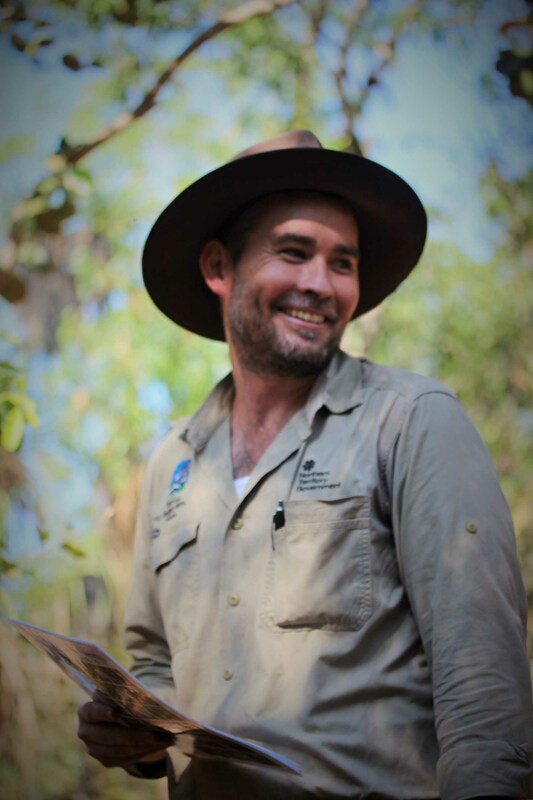 Land for Wildlife coordinator and botanist (and former coordinator) Greg Leach headed down to Katherine to assess the property and look at its wildlife habitat assets. This was done over 2 days and being such a large property only some of it was visited on the accessible tracks, which is why we ended up down there in the steamy build up- trying to catch as much of the property before it was too boggy! 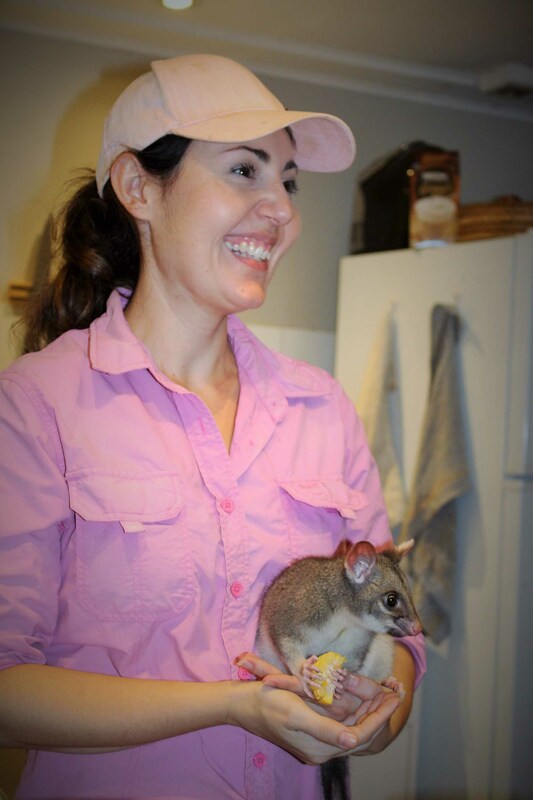 The property includes rocky sloping hills with open Eucalypt woodland and a variety of stunning Bloodwoods, hosting many birds and lizards and further diversity of creatures within the rock crevices and floodplain areas. 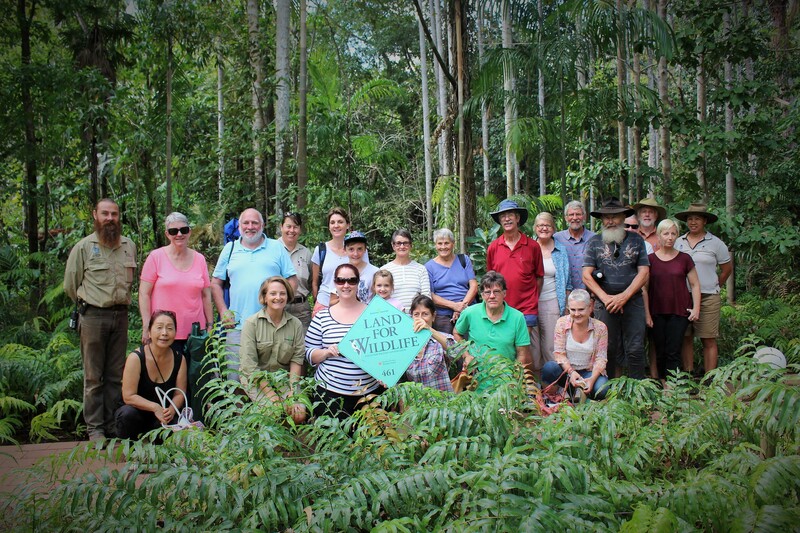 Maude Creek keeps water in it all year with lush riverine plants along its banks, and there are additional wet season creeks and overflows throughout the property. 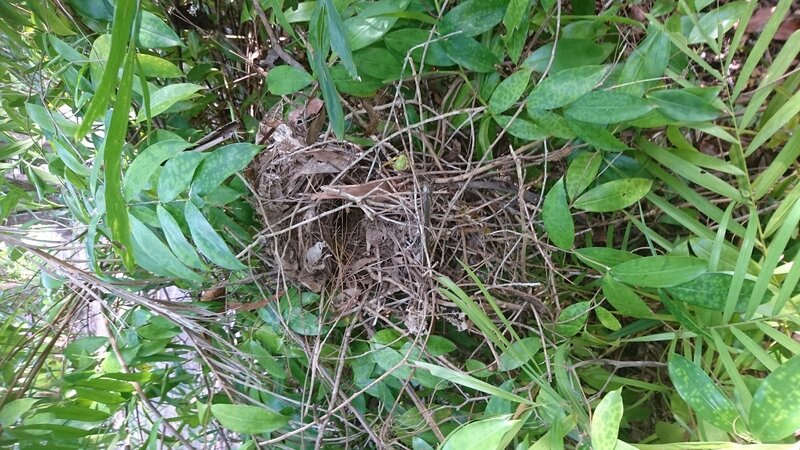 There is a likelihood that the Gouldian Finch could populate the area, with its grassy lower areas and rocky hills, and Mick is looking for assistance to try and document what fauna species are definitely found within the properties. Major priorities include the eradication of wild Buffallo and cows. 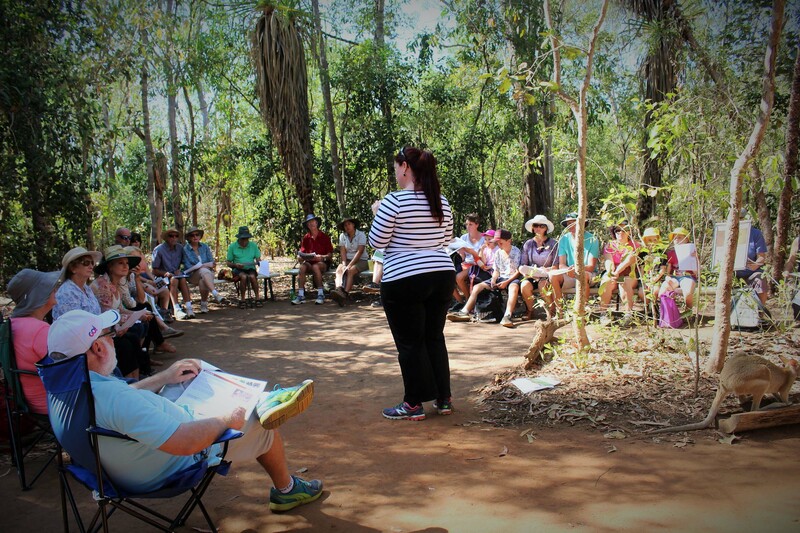 The fabulous tract of land joins surrounding properties which are intact and vast in size, including the Nitmiluk National Park, which is managed and protected under conservation legislation; it is also actively managed. All of the above set the property as a very significant area for wildlife conservation and an important tract of land which connects and creates large scale conservation corridors. There are a couple of LFW registered properties in the Katherine area, from the days when Greening Australia had an office in the town. With this most recent membership LFW has a significant representation, so we have set about to see how we can get more Land for Wildlife involvement in the area and held an information session for interested others. 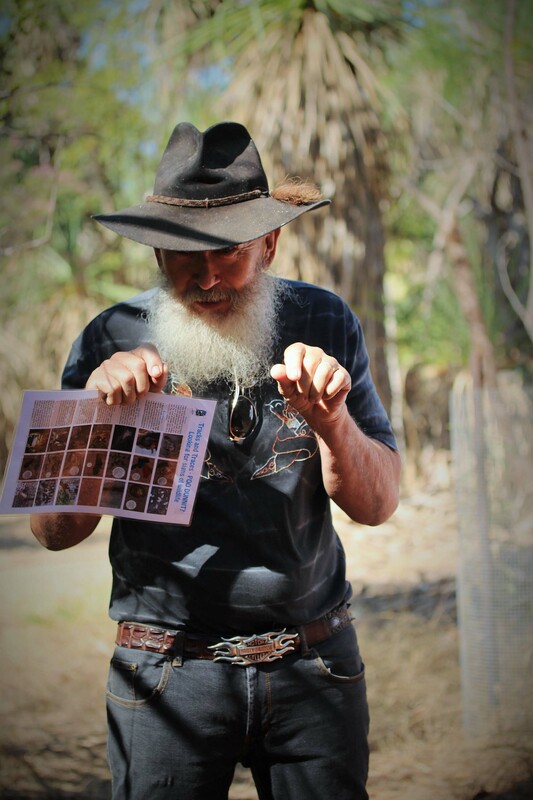 Mick would love to have management based training on the newly joined property and many landholders and the Landcare group were interested in getting involved. There was a call out for information on native plant propagation, fauna likely to be found and fire management information. 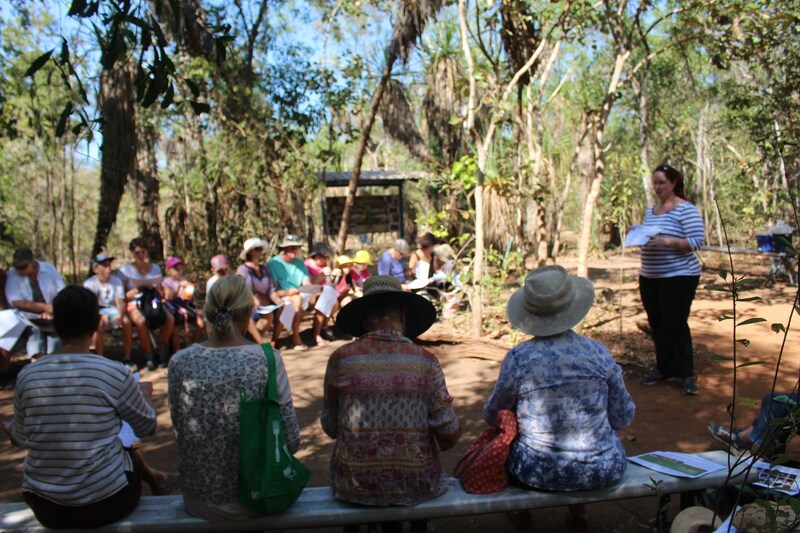 At this stage we hope to host workshops next dry season and team up with the Landcare group to carry out new assessments, the idea is to set up a Katherine interest group made of community members..… so watch this space. 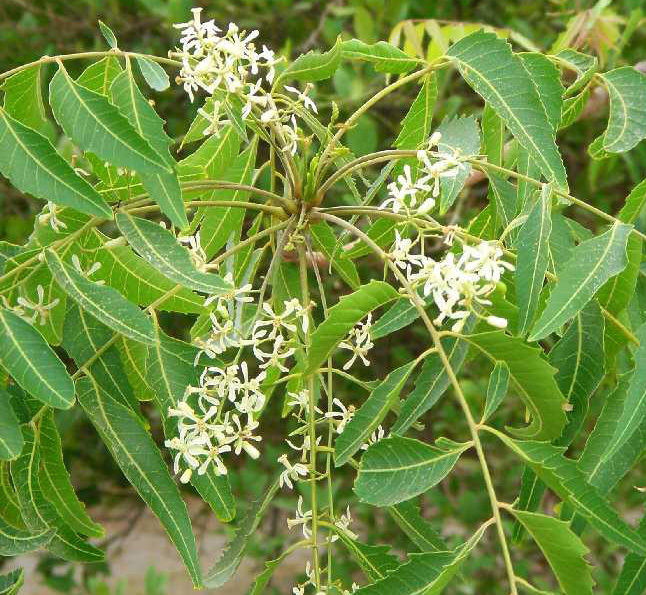 It has been announced by The NT Weeds Branch that Neem (Azadirachta indica) is being declared a weed. This well know tree, prized in Asia as an insecticide which is becoming a well distributed plant, out competing our native trees in the rural area and beyond, particularly by waterways. I have seen it on quite a few LFW assessments and many land holders are not entirely sure what it is, so I thought I would post this information. The fruit is eaten and spread by birds. The NT Government (weeds branch) has formulated a draft weeds management plan, it is available at http://www.lrm.nt.gov.au/weeds/find/neem, the plan is open for comment and you contact the department for more information. What does the Weed Management Plan do? Weed Management Plans establish the management requirements that must be undertaken by land managers with respect to declared weeds. They also describe best management practice control options. 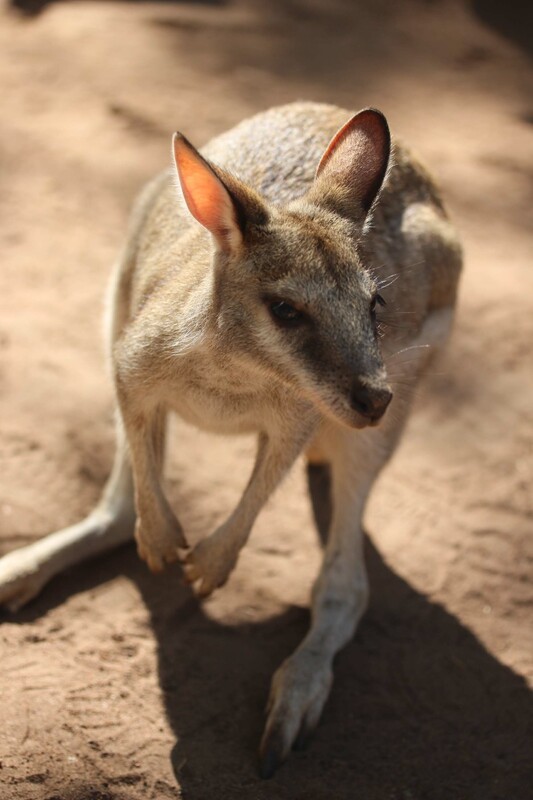 The Weed Management Plan for Neem (Azadirachta indica) will form part of a strategic approach to weed management in the Northern Territory, with the overall aim being to negate the impact of neem on the natural environment and the Northern Territory economy. 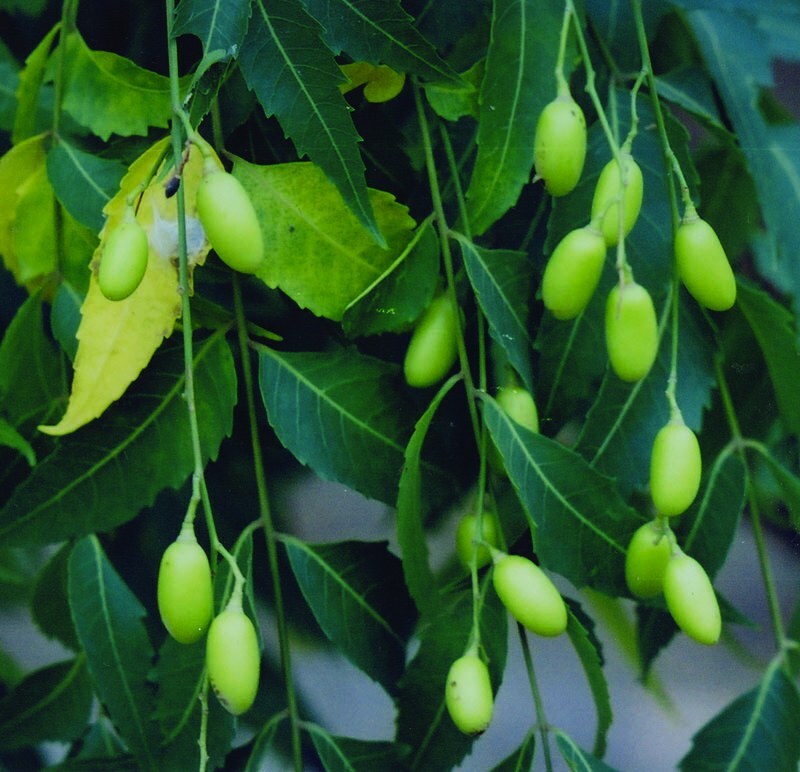 What is neem and why was it declared as a weed in the Northern Territory? 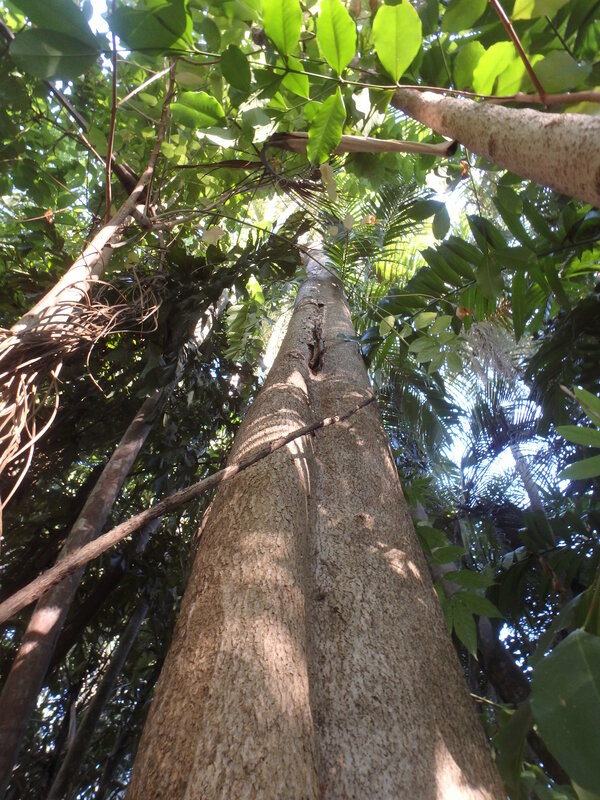 Neem is a fast growing introduced tree that is rapidly establishing in Top End waterways including the Katherine River. Neem’s high levels of seed production, extensive root systems and ability to regrow from suckers has enabled it to aggressively compete with native plants, even in healthy, intact environments. In July 2014, neem was declared a Class B (growth and spread to be controlled) and Class C (not to be introduced to the NT). Since the declaration of neem as a weed, it has been encouraging to see the amount of control that has taken place to date, however there is still more to do. 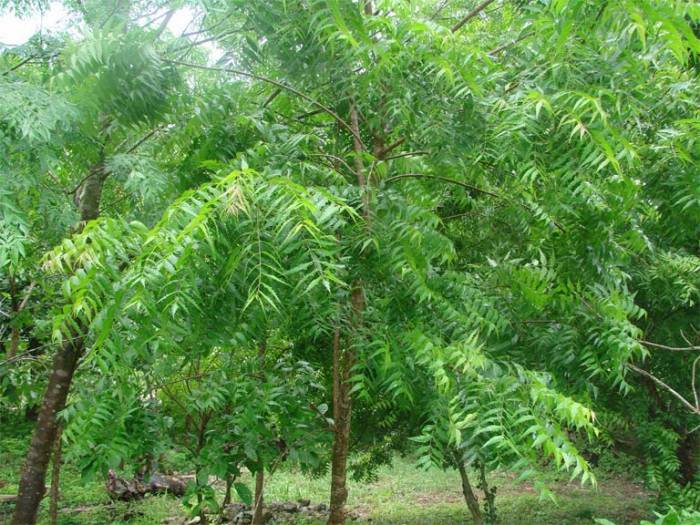 If I have neem on my property am I obligated to control it? 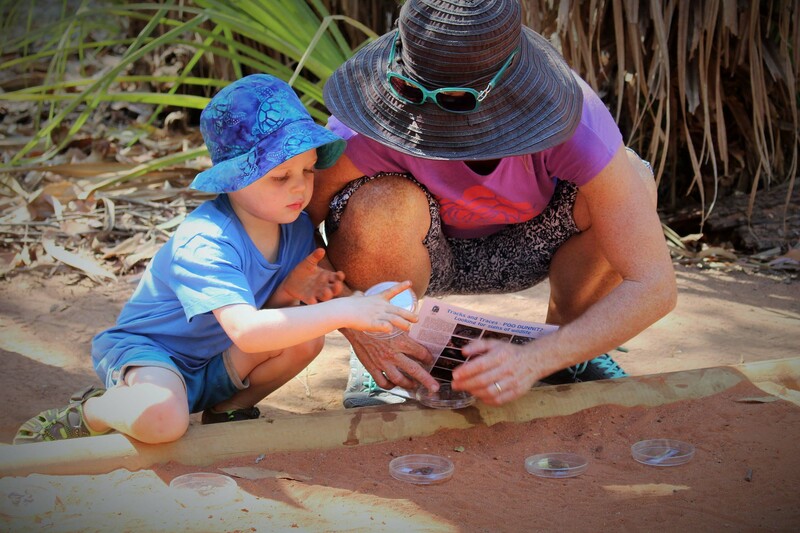 Landholders must use their best endeavours to control the growth and spread of neem, this includes controlling seedlings, saplings and, where feasible, mature trees. 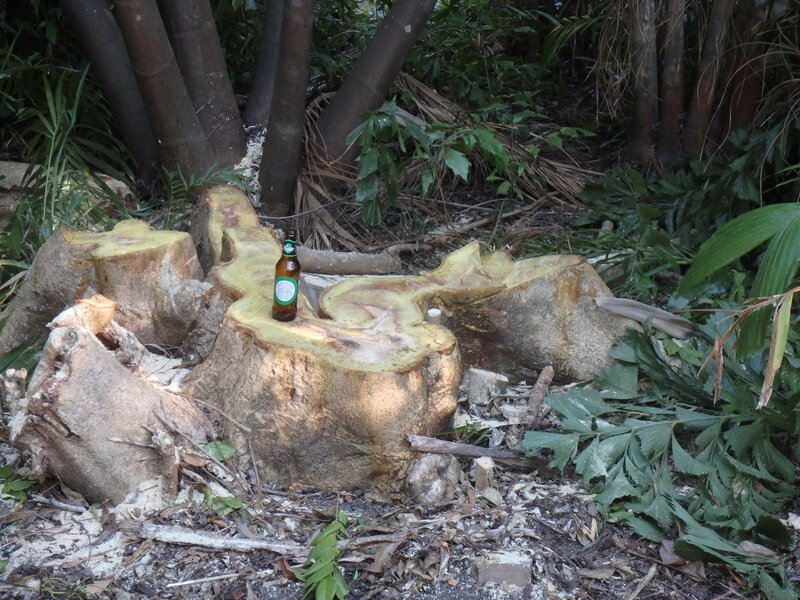 Although not required by the Plan, the removal of mature trees from urban settings is considered highly beneficial as this removes a source of neem seeds. It is illegal to buy, sell or transport neem plants of seeds and no new plantings are permitted within the Northern Territory. How difficult is neem to control? The management of isolated neem plants and small infestations can be relatively straightforward. However, the control of large established infestations will require careful planning, prioritisation and budgeting. Results may not be immediately apparent, as repeated effort may be required to produce obvious reductions in distribution and density. Where can I find a copy of the Plan and/or make comment? The draft Plan can be found on http://www.lrm.nt.gov.au/weeds/find/neem and online feedback form http://www.lrm.nt.gov.au/lrm/community-consultation or by calling Weed Management Branch on 8999 4567 for a hard copy.